Tuesday night, actor and rapper Kid Cudi posted a lengthy note on Facebook, announcing his decision to enter rehab for depression and suicidal urges. According to the National Institute of Mental Health, depression is one of the most common mental health disorders among adults in the U.S. Cudi’s decision to open up about his anxiety and depression is important because too often, people feel the need to hide their struggle with depression. Cudi admits in his Facebook post that living with his depression and anxiety has been a major internal struggle. 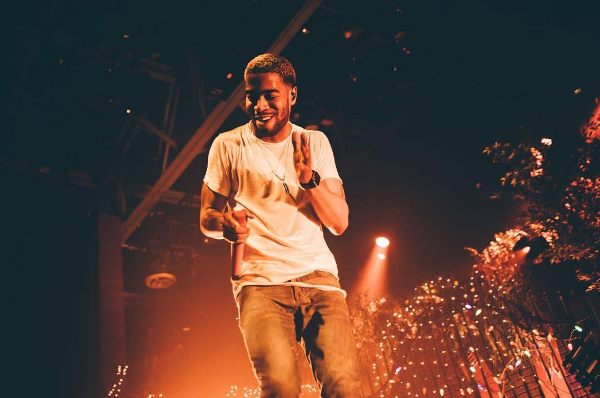 Cudi assured fans that his checking into rehab will not delay any of his music. His latest album, Passion, Pain & Demon Slayin’, which was recently delayed due to sample clearance delays, could be released during Cudi’s stay in rehab. The rapper assured fans that his management and label would update them on the album’s progress and release. We hope that Cudi gets the help he needs while in rehab and finds the peace and happiness he deserves.